How to choose a home care assistant job in Bournemouth and Poole? There is a huge demand to fill home care assistants jobs in Bournemouth and Poole at the moment, and it has been this way for years. This is good news for people in home care jobs, because increased competition leads to higher wages and better conditions. 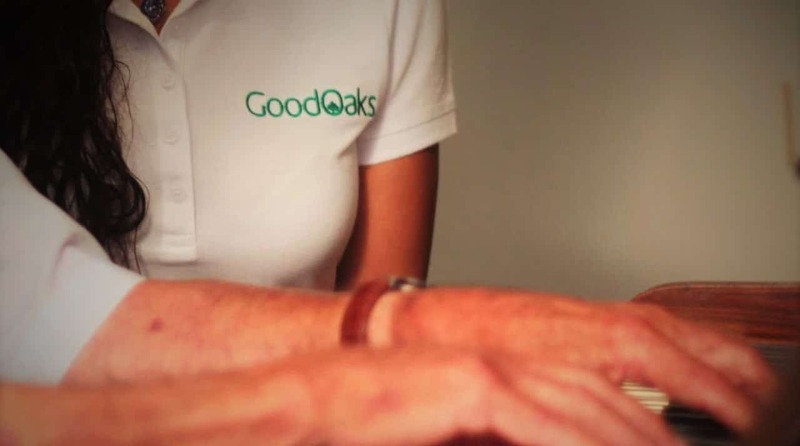 We at Good Oaks routinely research the care market to make sure we are always offering the best employment package we can, so we can keep attracting and retaining the best staff. If you search online for home care assistant jobs, or even care assistant jobs in care homes, you’ll find hundreds of adverts and vacancies, from countless providers, so how do you choose between them all? There is a big variation in the offerings of these care providers, so it’s important to look around and ask the right questions before committing to a care agency in Bournemouth. What are the hourly rates? This sounds obvious, but a lot of care providers don’t advertise their rates, and can even be a bit hesitant about telling you even when you ask directly. This should be a warning sign. Do I get paid holiday and mileage? Some companies roll everything into an hourly rate, and others simply don’t pay mileage, so it’s worth checking. Do you do 15 minute visits? 15 minute visits are usually commissioned by the Local Authority, and are stressful, often not particularly rewarding and harder to earn a decent salary on, as proportionally more of your time is spent travelling. Do you guarantee hours? Guaranteed hours contracts are becoming more common, and if you can guarantee your availability you may be able to get guaranteed hours. How long is the training, and is it paid? You should be paid for your classroom induction course, which is normally 2-5 days long, and the shadowing that you do in the field. Is there a training cost if I leave before a certain time? Some employers charge training costs if you leave within X number of months, whereas some don’t, so it’s worth checking. We recently spoke to a lady who had an 8 week notice period, and if she didn’t give 8 weeks she had to pay £500 to repay her “training costs”! What are the career/personal development opportunities available? Are there team leader positions that home care assistants can apply for? Do they offer funded QCF diplomas? Some companies have very flat structures of carers and office staff, whereas others have layers of management that you can progress through. The care employer will be asking you questions to work out if you’d be a good fit into the care sector, and their company as a whole, but it is important to remember that it is a good opportunity to find out more about them as well. In this link, The Guardian has put together a list of some questions you may get asked during your care assistant interview. For our answers to some of these questions, have a look at our page dedicated to care assistant jobs in bournemouth and poole. If you’d like more information, please give us a call on 01202 757787 and ask to speak to our HR coordinator, or use the quick apply form below. Visiting Carers need to be able to drive and have access to a car. Please confirm you have access to a car.